Now this is the story about “Muttskee”. Muttskee is a Golden Retriever who I had the pleasure of meeting close to seven years ago. As of right now Ol’ Muttskee is 12 years old and is living out his life with myself and my wife Helen and our other Golden puppy Glinda! You see I met Muttskee through my wife. Back in April 2005 when I began courting my wife…boy how many times do you get to use that word…anyway I met Muttskee for the first time..after a few dates Helen and I knew Muttskee needed a daddy so we got married. Now, the one thing I will always remember about Muttskee is that he was my first “Big Dog”. Up until that time all puppies in my life averaged around 11 pounds. The “Big Boy” weighed around 75 to 80 pounds of pure muscle. On our second date prior to our marriage, I showed up at Helen’s door to be met by a “fleeing” Muttskee running approximately 30 miles per hour through my legs and off through the neighborhood. Did I mention that “Muttskee” is a bit spooky…shutters and hides at the very “talk” of thunder? He just needs to be alone until it passes and he is fine…poor little man! But Muttskee and I became good buddies and he even taught me how to walk him through the Wissahickon Woods…well he really was walking me…but it worked. When you think of Muttskee you think of a proud dog…a very stubborn dog…a dog that will be your best friend….and an even better friend if you keep feeding him cookies, oreos’s, twizzlers, or for that matter molecules of matter that cannot be seen with the human eye. He is a dog with his own personality and you know what…it fits him like a glove. I wouldn’t know him any other way. And I love him for it! 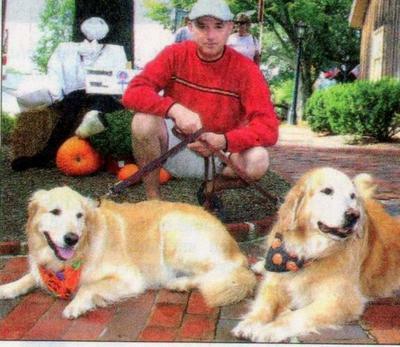 “Golden Retrievers” are clowns in a fur coat… So as you are watching the photographs and the videos of “Mr Muttskee” and his sidekick “Glinda”..our other furry K-9, keep in mind that my buddy has had a wonderful life . He was a great teacher and a benevolent nemesis to Glinda when she was a puppy. Muttskee never complained once…never nipped Glinda even when she decided that his beautiful flowing “plume like” tail would look better if she removed all of its hair until it looked like a “pipe cleaner”. 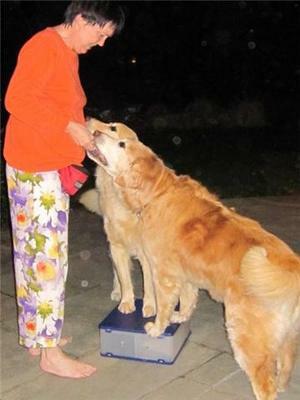 He has also been with me through my ups and downs….and although Muttskee will never go down as the most “affectionate” Golden Retriever…he know doubt will always have a place in our hearts. He was aloof yet loving in his own way. He would kiss you when you had the slightest aroma of garlic and would follow you to the ends of the earth if there was the slightest chance of a piece of Genoa salami dropping off of your plate. But with life also comes the inevitable consequence of death. 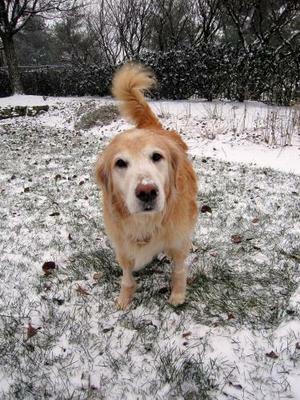 A young auburn Golden Retriever grows old and grey, wise and frail. Things that were once fun are now difficult. The dog inside is no longer the dog we see. Mr.Muttskee, The Count of Cleverness, The Wizard of the Wissahickon is gone now. He knew it was time. And I am still trying to find comfort in the fact that he was telling both Helen and I he was ready to go. It is very difficult to accept that he is longer in the house, in the back yard, or riding shot gun in our cars. One thing for sure, he has left both Helen and I wonderful memories. So here’s to you “Mr. Rumple Stinky Pants” may your days be filled with sunshine, no thunder, and endless cookie trees in the land of “Milkbones & Rawhide”…..you are gone but will never be forgotten! It sounds like he had a wonderful life with your family. All we can do if love them and respect them and I know they know how lucky they are to have us and be a part of our families. He's in a better place now but still watches over you because he loves you so much.